The problem with current facial recognition systems using optical CCTV cameras is that when it’s dark the analytics can’t make heads or tails what’s going on. Thermal infrared would solve this problem but with it’s current limitations it can’t see the kind of facial details that traditional lighting highlights in a person’s face. 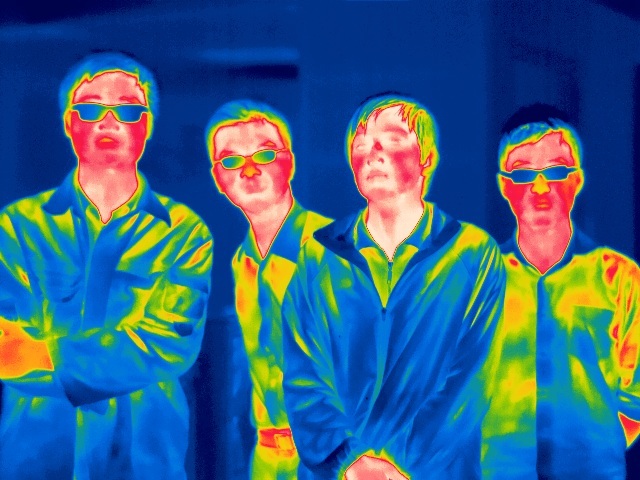 A group of German scientists claim to have found a solution to this issue, limiting infrared cameras, by creating a new system that analyzes a person’s thermal signature. To accomplished this, the scientists first gained access to a previous study’s archived database of optical and thermal infrared photo profiles created for 82 individuals. Second, the scientists fed 41 of these complete profiles, or half, into a deep neural network computer system, so called due to it’s ability to use artificial intelligence to ‘learn’, and taught the computer to compare a person’s thermal infrared profile with their optical photo. The computer’s analytics was put to the test to see if it was able to make accurate identification by feeding the remaining 41 profile photos at random into the computer. Amazingly, it was accurate by 10% greater than the latest state-of-the-art traditional optical CCTV methods of facial recognition. But there is still a long way to go before it is put into real life situations due to the fact each person’s study profiles on average had 55 photos, thermal and non-thermal. The computer’s facial recognition accuracy reaches only about 80% when there are a few optical images in its database to compare to the thermal image. With only one optical image available per person, the accuracy of the system falls to 55%.